Through his years of experience in real estate, Brandon has built a strong and formidable reputation with clients, industry professionals and peers. He utilizes the latest technologies, market research and business strategies to exceed his client's expectations. More importantly, he listens and finds solutions that are tailored to each client's specific needs. Brandon holds a BBA in marketing from Baylor University. He also holds a degree in Interior Architectural Design and enjoys helping buyers and sellers visualize a property's potential. He has been a resident of Los Angeles for a decade since moving from his hometown of Houston and has developed an in-depth knowledge of communities throughout the greater Los Angeles area. Brandon is the Sales Director for The Loft Company, which caters to the urban enthusiast while providing Five-Star service to clients who are buying, selling or renting lofts and condos in Los Angeles. 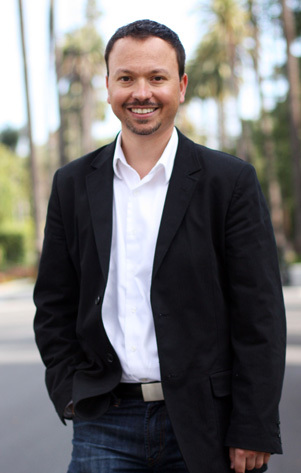 Brandon possesses extensive knowledge in new construction residential development and has worked on some of the most successful residential developments in LA. Brandon's passion for urban living, architectural design and real estate experience became the platform for him to launch The Loft Company with Peter Lorimer Group Estates. When away from the office, Brandon enjoys songwriting, running and golfing. He and his wife, Breanna, are expecting their first child in July of 2011. Brandon cherishes his relationships with his friends and family and strives to be a positive influence for individuals in the community.